Reece Cabin Bed | Great Little Trading Co. This heavenly looking midsleeper is the answer to your space saving prayers. 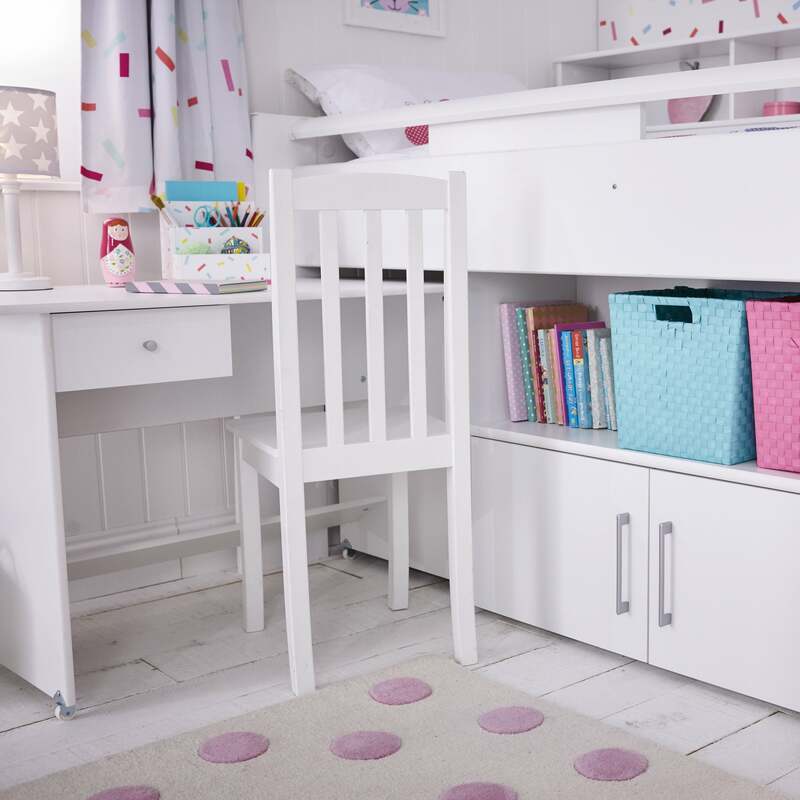 It features bedside bookshelves, a cupboard & further shelving. Includes pull-out desk on castors, & deep ladder steps that are kinder to feet. Team it up with our Nelson Chair in White. Finished in a bright white, durable melamine, Tested to BS EN: 747, suitable for 6yrs+. Assembly service available (£100); includes 5 Year GLTC Warranty. Please note: This bed can only be built as shown, with the stairs on the right when facing; it also requires a minimum of 15cm clearance either side of the bed frame during assembly. Please measure before ordering! Please note this bed requires a longer, European Single mattress. We recommend either of our shallower, All Rounder mattresses; choose from the Classic All Rounder (Euro Single) or the Luxury All Rounder(Euro Single). For more information please see our Mattress Buying Guide.